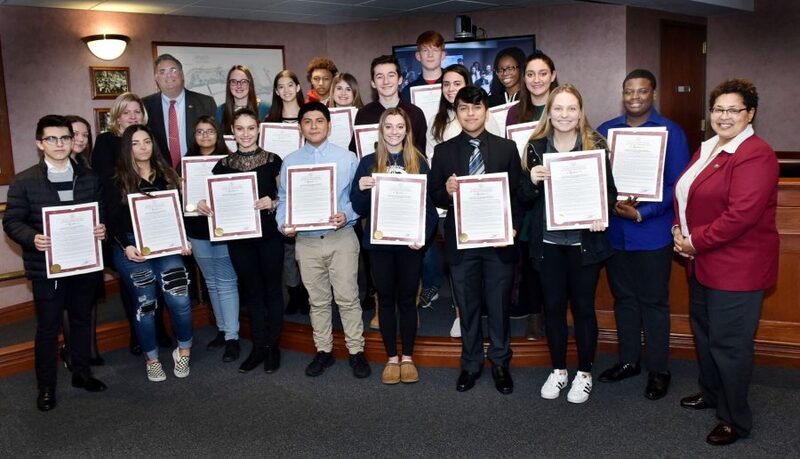 Union County, NJ – On January 24, students in the UC STEP youth development program were presented with resolutions by the Union County Board of Chosen Freeholders, congratulating them on winning the 2019 UC Step Civic Engagement challenge. 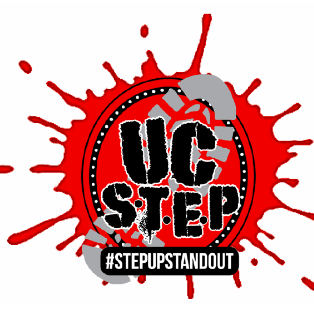 UC STEP is a Freeholder initiative that provides high school students with opportunities to create countywide community service programs. Each December, students from throughout Union County gather at the annual UC STEP Summit, where they divide into teams and participate in leadership workshops. As a highlight of the day’s activities, each team creates a countywide community service program. The winning campaigns are supported by the Freeholder Board each spring. More than 200 students participated in the UC STEP summit last December. 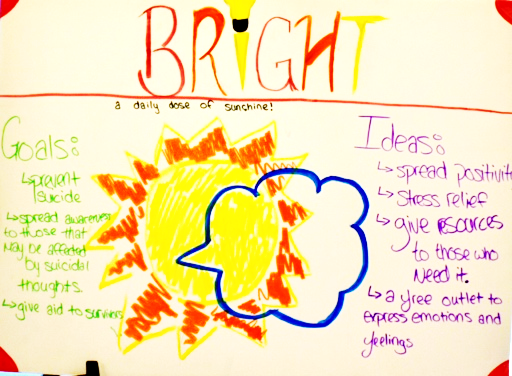 “This year we asked our UC STEP participants for their ideas on the theme of suicide prevention. 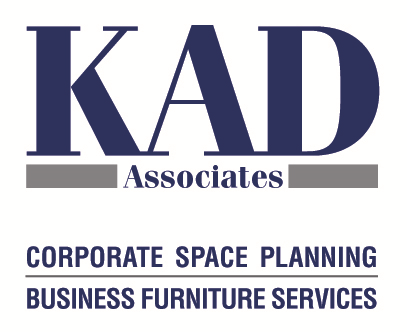 Their responses impressed us with their thoughtfulness, sensitivity, and grasp of the issues. We have combined two of them into one campaign, to make an even bigger impact,” said Freeholder Chair Bette Jane Kowalski. 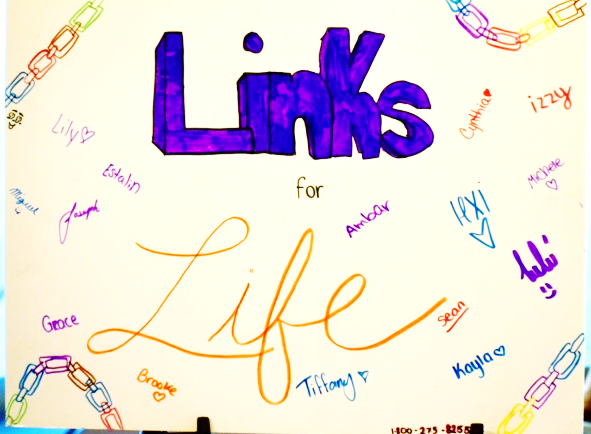 The new campaign is called “Link Up for Life-5K.” It combines a 5-K fundraiser with a display of linked-together messages. The display is intended to represent support for those who are struggling. “Through this fundraising event and the display of messages, we hope to demonstrate that Union County residents are aware of and care about supporting family, friends and strangers alike who need a guiding light in troubled times,” said Freeholder Chair Kowalski. 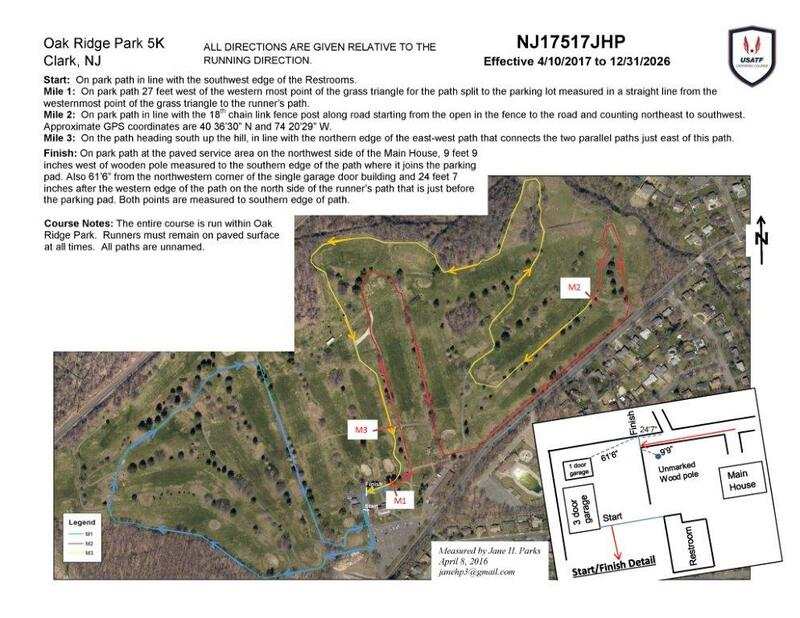 Funds raise through Link Up for Life-5K will benefit Caring Contact, an award-winning, volunteer-staffed caring and crisis hotline and listening community serving the central and northern New Jersey community. Caring Contact is based in Westfield. The winning campaigns were created by students in the Color Group Orange and the Color Group Blue teams. The Color Group Orange participants are Lily Gull – Arthur L. Johnson High School; Estalin J. Jadan – Alexander Hamilton Preparatory Academy – Jasalyn Hardy – Admiral William F. Halsey Leadership Academy; Miguel Campusano and Joseph Espinal – J. Christian Bollwage Finance Academy; Izabella Pinto-Cranford High School; Alexis Pinto – David Brearly High School; Sean McMahon-Governor Livingston High School Omar Chambers-Hillside High School; Ambar Concepcion-John E. Dwyer Technology Academy- Tiffany Gonzalez-Rahway High School; Michele Kamienski-Roselle Park High School-Brooke Arnold – New Providence High School-India Hill-Thomas A. Edison Career and Technical Academy; Lourdes Castillo A. Contreras- Thomas Jefferson Arts Academy-Cynthia Diaz and Grace Lawal-U.C. TEAMS; Kayla Hsu-Union County Vocational-Technical Schools and Taylor Phillips-Union High School. The Color Group Blue participants are Andres Rodriguez and Eduardo Martinez-Alexander Hamilton Preparatory Academy; Manuela Lopes-Admiral William F. Halsey Leadership Academy; Maryann Atlalla and Briana Nicole Evelyn-Benedictine Academy; Erin Lynskey-Cranford High School; Nick Tarabokia and David Martinez-Governor Livingston High School; Adamaris Vizueth and Jason Alvarez-John E. Dwyer Technology Academy; Derrick Cosby Hurling and Emily Sznurkowski-Linden High School, Samuel Dorielan-Rahway High School; Matthew L. Burgos and Nina Worthey-Roselle Catholic High School; Justin Cabarle and Sarah Lippin-Roselle Park High School; Antoinette Chango-Scotch Pains-Fanwood High School; Scott Cohen, Summit High School; Larithsa Alcino- Thomas A. Edison Career and Technical Academy– Vocational Education High School and Serenity Nova-Union High School. 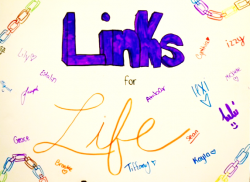 The Link Up for Life-5K event will take place on April 13. Additional details will be available shortly. You can vote once per computer/phone. Poll closes on January 1st. Every person is important in life just as ever link is important to a chain. 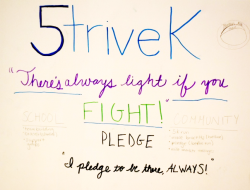 This community service project will create a visual representation of support that will incorporate written positive messages and resources for anyone who is struggling. These artistic chains will be displayed throughout Union County and showcase strength in numbers. This community service project will host a 5K race to raise funds for suicide prevention. The 5K will feature wrist bands that will have imprinted on the inside of the band a suicide prevention hotline number, this ensures students will have ready access to help. Schools will be encouraged to have team building meetings to strengthen relationships to create a safe environment where students are free to express themselves. 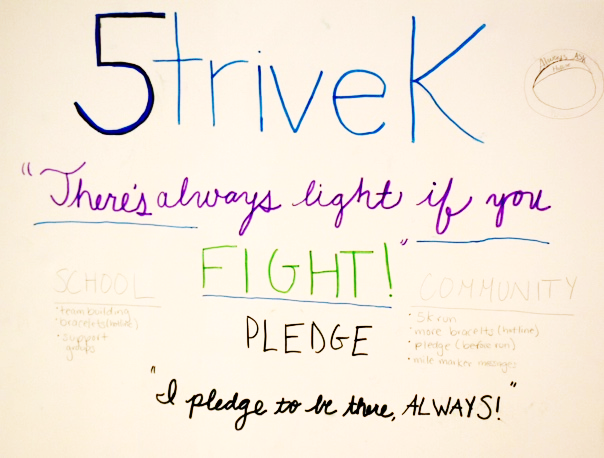 All participants will pledge to Always Listen- “I pledge to be there always’ which demonstrates that there is always someone there who is listening. This community service project focuses on the creation of a website that deals with prevention of suicide by creating a space to anonymously express emotions. The site will have a drop down menu that would present different moods and how to deal with those feelings, a chat portal to talk to someone live, and an interface for stress relief featuring games. The website will also feature survivor support and helpful articles to resources. This is a free modern approach that can reach and benefit others suffering throughout Union County.